Join Sharon Salzberg and Ethan Nichtern this summer to explore the topics of confidence and the 8 vicissitudes. The 8 vicissitudes, also known as the 8 worldly dharmas or 8 worldly preoccupations, are four pairs of opposites: happiness and suffering; fame and insignificance; praise and blame; gain and loss. Taking various approaches from the Insight, Shambhala approaches, the teachers will discuss how to build confidence and deal with the ups and downs of life from a dharmic perspective. 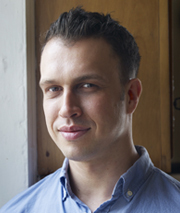 Ethan Nichtern is a Shastri, a senior teacher in the Shambhala Buddhist tradition. He is the author of the acclaimed book The Road Home: A Contemporary Exploration of the Buddhist Path, and has recently published The Dharma of The Princess Bride: What The Coolest Fairy Tale of Our Time Can Teach Us About Buddhism and Relationships (FSG Books, North Point, Sept 2017) and One City: A Declaration of Interdependence (Wisdom Publications, 2007). The Road Home was named to Best Books of 2015 lists by both Library Journal and Tech Insider. Ethan is also the founder and former director of the Interdependence Project, an organization dedicated to Buddhist-inspired meditation and psychology, transformational activism, mindful arts, and meaningful media. He teaches and lectures around the world and is based in New York City. 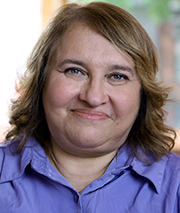 Sharon Salzberg is a central figure in the field of meditation, a world-renowned teacher and author. She has played a crucial role in bringing meditation and mindfulness practices to the West and into mainstream culture since 1974, when she first began teaching. She is the co-founder of the Insight Meditation Society in Barre, MA and the author of ten books including New York Times bestseller, Real Happiness, her seminal work, Lovingkindness and her most recent work, Real Love.